We were told that leaving everything behind was the only way! mycotoxins it produces. Since finding Hi Tech – I have been able to save all my stuff that was contaminated by Stachy and the mycotoxins it produces. If someone is sick, keep investigating. There is no one size fits all for air quality. Some people are more sensitive than others. I appreciate your comment – I tried filtration for years and HEPA filters do not help if there are mycotoxins. I felt worse with some of the best filters money can buy. We did Encapsulate our basement — not sure what you mean about the lead paint — putting more paint on top? Dilution is an idea I have heard of — air exchange with outdoor air. That’s great if the outdoor air is GOOD! Not always the case. I suggest she do her own testing. 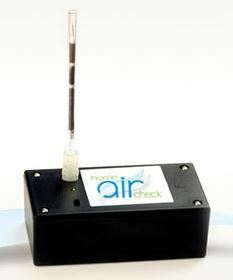 The HERTSMI is a good test and if that comes back negative or inconclusive – she can check for VOC’s and formaldehyde doing a home air test. The 2 tests are around $150 each – very affordable and I give detailed instructions on how to do the testing here. I hired an environmental engineer in 2011 to do testing on my home and it was over $3,000 – total waste of money when I could have gotten the same info for $300. There are VOC in my office. I got a letter from the allergist stating how bad it is for me. Management is not taking it seriously enough. How can I fight this. Is there any way to effectively measure the VOC at a certain time? Every office has VOC’s – they are bad for everyone. Everyone should be pro-active about cleaning their air! 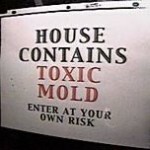 Hi Tech takes care of VOC’s as well as mold, bacteria and viruses. I would not work somewhere that did not actively clean the air .